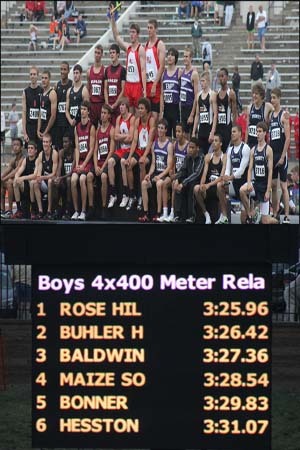 The 2010 boys track team completed their best finish of recent history by placing 4th as a team at the State Track Meet. The highlight of the State Meet was undoubtly the boys 4x400 Relay Team winning the 4A State Championship for that event. The 4x400 relay team, which included Jon Martin, Colton Mays, Derrick Decker, and Austin Shaffer, finished the relay with a time of 3:25.96. The state record for the event is 3:21.44. Brady Foltz ended his Rocket athletic career by placing 2nd in the discus with a throw of 168’ 6”. Tyler Knight placed 4th with a vault of 13’ 6”. Jon Martin also placed 5th in the 300 M Hurdles with a time of 41.38. LaQua Mayes also had a 5th place finish in the 100 M Dash with a time of 11.029. Freshman Kenton Weber had a great showing in the 3200 M Run and placed 5th with a time of 10:10.01. Senior Rob Kinnick also finished his Rocket athletic career with a medal as he finished 6th in the long jump with a jump of 20’ 7”. Also competing at the State Track Meet but not placing were Austin Shaffer in the 400 M Dash, Jon Martin in the 110 M Hurdles, and Colton Mays in the High Jump. Congratulations to the 4x400 Relay Team on winning the State Championship. Alan Turner, Brady Foltz, Rob Kinnick, and Laqua Mayes all four provided great point contributions to the team. Their athleticism is shown in the fact that they have all moved on to receive college athletic's scholarships. They will be missed greatly. 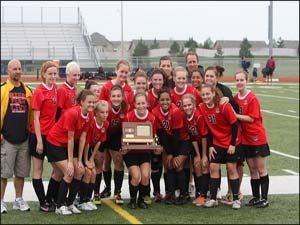 The 2011 girls soccer team closed out a great season by bringing home the 3rd place plaque from the 4A State Tournament. In the semifinal round, the Rockets were matched up against Lenexa-St. James Academy. St. James scored first with an unassisted goal less than two minutes into the game. The Rockets continued fighting hard and tied the game 1-1 in the 16th minute on a unassisted goal from Kalyn Pfaff. Both defenses then took over the game until St. James was able to score the final goal of the game with 10 minutes left in the game. After this heart breaking loss, the Rockets had to regroup and come back the next day to try and win 3rd place. Their opponent in the consolation final was Kansas City-Piper. Once again, the Rockets found themselves down a goal seven minutes into the first half. However, this time the Rockets were able to comeback. Miranda Raevsky answered two minutes later to tie the game at 1-1. Raevsky had a great game as she assisted on the next two goals scored by Kalyn Pfaff to make the final score 3-1 in favor of the Rockets. The five graduates left a gap that will be difficult to fill. They include Krista Crook, Erin Young, Carrissa Hull, Jessica Wasko, and Kimberly Klein. 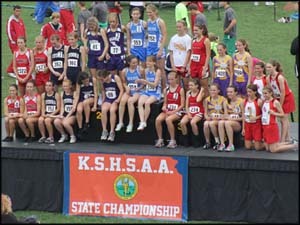 The 2011 girls track team had a rough weekend at the State Meet in May. However, they did manage to bring home a couple of medals. The girls 4x800 M Relay team, consisting of Amber Anderson, Paige Decker, Keanu Bradley, and Katelyn Slade placed 7th with a time of 10:22.80. Also placing 7th and bringing home a medal for the Lady Rockets was Kayla Justice, who threw the Javelin 114’ 3”. Also competing at the State Meet for the Rockets was Katelyn Slade in the 400 M Dash, Keanu Bradley in the 800 M Run, and Annika Braeunlich in the Long Jump. Annika and Paulin's absence will be noticed next season. 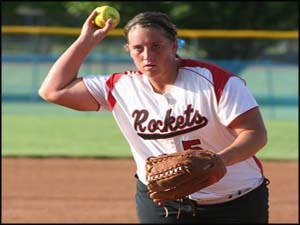 The 2011 girls softball team traveled to Salina to compete in the first round of the 4A State Tournament. 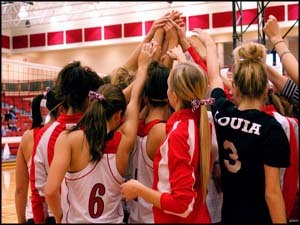 They were matched up against Lenexa-St. James Academy. The game was a pitcher's dual between Jesslyn Buie of St. James and Keelyn Bonar of Rose Hill. Both teams struggled at the plate the entire game. Bonar pitched another great game for the Rockets allowing only one hit and striking out 10 through the first six innings. However, in the 7th inning St. James was able to load the bases with help from a Rocket error. Unfortunately, an infield single drove in the winning run for St. James eliminating the Rockets from the tournament. The Rockets finished the season with an overall record of 19-5. 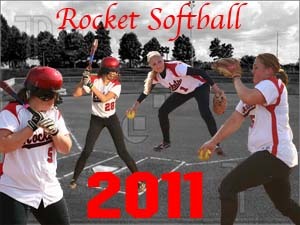 Congratulations to the Rockets on another outstanding softball season. Replacing Keelyn Bonar and Aubby Schlegel's connection will a difficult task for this year's team. The Rose Hill Girls Track team is looked at as the underdogs because they did not have anyone qualify for state last year. However, this season the girls are planning on coming out strong with many returning and upcoming talented competitors. Winfield is where the first track meet will be held at on March 29th. Come to support your ladies track team. 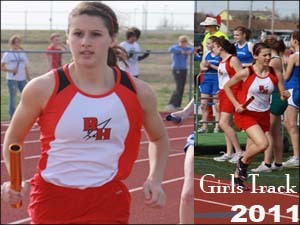 Rose Hill’s 2011 Boys Track Team has talented athletes returning in all field events. Austin Shaffer and Colton Mays both are returning this season after placing in state last spring. The whole team has been working hard in order to have even more athletes qualify for state this year. 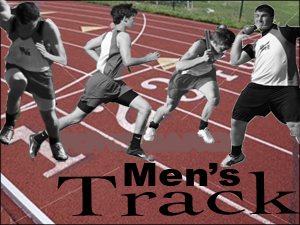 The first track meet will be held at Winfield on March 29th. Golf is returning this season after losing 5 seniors last year. 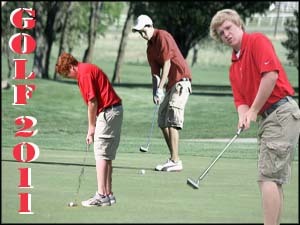 Losing so much talent will be difficult to overcome but the 2011 Rose Hill Golf team is ready to take on the challenge. The team has been working hard to prepare for their first event. Be sure to come support the Rocket Golf team at Andover on April 4th. The Rose Hill Softball team has been working hard to prepare for their spring season. Their first game will be against Wellington here at home on March 28th. Last Softball season the Rockets had an amazing record of 17-6 but lost 0-1 against Mulvane in the championship round of regionals. 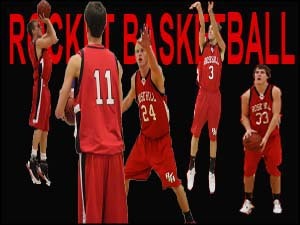 Rose Hill only has 3 returning varsity starters but that wont hold the Rockets back from having a good season. Last season the Rose Hill Baseball team’s season came to an end after losing to Augusta 2-5 in the first round of Regionals. The Rockets ended their season with a record of 14-7. 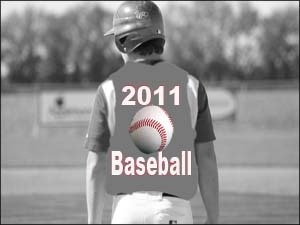 With only 6 returning varsity players Rose Hill baseball will be looking to rebuild for the 2011 season. The first game for the Rockets will be on their home field against Wellington on Monday March 28th. Come out this spring to support the 2011 Rocket Baseball team. With eight returning varsity players the Rose Hill girls soccer team is expected to have a good season. After losing to Hutchinson in the 2nd round of Regionals last spring the Rockets have been working hard in order to go even farther this year. Erin Young, Kimberly Klein, Carrissa Hull, Krista Crook, and Jessica Wasko are the seniors leading the team this season. Andover is Rose HIll's first opponnet and they will be playing here at home on Thursday, March 17th. 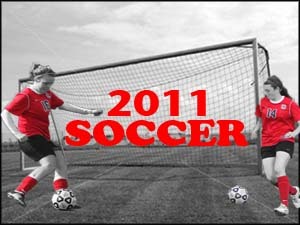 Be sure to come support the 2011 girls soccer team. The Rockets traveled to Cheney to compete against Andale for the second round of Sub-State. Rose Hill jumped out early and gained a 14 point lead in the first quarter. Keeping their lead through the second quarter the Rockets went into halftime winning 29-17. In the second half Andale put in a good effort but Rose Hill never let down and won the game 64-51. Kayla Justice led the Rockets with 17 points. Justice also led Rose Hill with 19 points on Saturday when they competed against the undefeated Cheney Cardinals in the championship game. The game was intense as both teams battled for the chance to move on to state and the title of Sub-State Champions. In the first half the Rockets trailed by 8. Trying to make a comeback Rose Hill scored 27 points in the second half but ran out of time and lost by 13 points to Cheney. 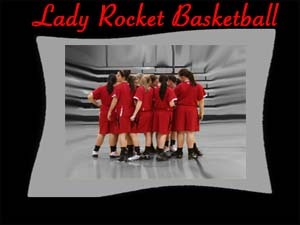 Congratulations to the Lady Rockets for a great season with a record of 16-7. 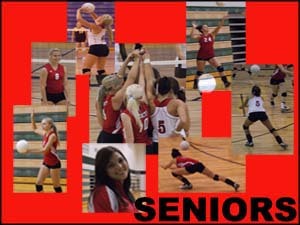 The 5 seniors this year were Bailey Burnett, Paige Downing, Kelsey Webber, Christine Bartley, and Abby Jones. All 5 were great leaders and will be hard to replace next year. The Rockets lost in the first round of Sub-State to the Winfield Vikings. The first time Rose Hill played Winfield the Rockets won in OT 61-57 and the second time the two teams played Winfield won 60-55. In the first quarter both teams played well and ended with a score 14-12 with Rose Hill down by 2. The Rockets stepped up in the second quarter and the game was tied 28-28 going into halftime. Unfortunately the Vikings took control in the third quarter and outscored Rose Hill by 8 points.The Rockets made a comeback in the last quarter but it was not enough to catch Winfield who won 61-48. Rose Hill finished with a season record of 11-10. Seniors Sam Newton,Colby Bannon, and Kyle Pritchard were major assets to this year's team and will be greatly missed next year. Jake Wilson, Travis Belnap, Michael Pretorius, and Eastin Dockers traveled to Salina to compete in the 4A state wrestling tournament. Freshman Jake Wilson wrestled in the 112 weight class and ended with a 1-2 record. Representing Rose Hill in the 135 weight class was Travis Belnap. This was Belnap's second time at state and he finished with a 1-2 record. Wrestling in the 160 weight class for Rose Hill was Michael Pretorius who also finished with a 1-2 record overall in the tournament. Eastin Dockers wrestled in the 189 weight class and was the only Rose Hill team member to place. After winning his first two matches and losing the next three Dockers placed 6th. 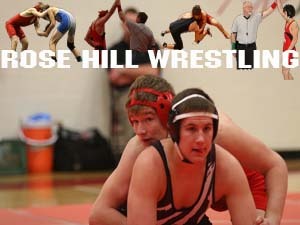 Rose Hill ended the season with a dual record of 6-6. Eastin Dockers and Jake Wilson both had a 30 win season. Dockers with a 32-13 record and Wilson with a 30-8 record. 5 Seniors will be graduating this year: Tyler Wilson, Will Eaton, Travis Belnap, Tyler Long, and Michael Pretorius. Wilson wrestled for the 119 weight class and ended with a 15-12 record. Eaton wrestled for the 125 weight class and ended with a 18-19 record. For the 135 weight class Belnap ended with record of 23-14. Tyler long had a 16-13 record in the 171 weight class and Michael Pretorius finished with a record of 11-17 in the 160 weight class. 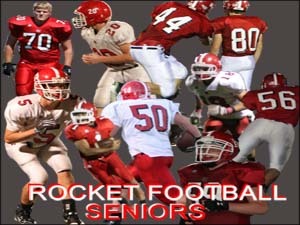 The Rockets are anticipated to do well again next year but the 5 seniors will be missed. The Rockets traveled to Topeka to compete against Bonner Springs for the first round in the State tournament. The game against Bonner Springs would decide who would go on to play in the State Championship game. Rose Hill and Bonner Springs battled neck and neck in the first half, both unable to put a point on the board. The second half started off a lot like the first. Just when the teams started to think that overtime was a great possibility, Will Wyatt scored on a 35 yard free kick. Wyatt admitted it was not his normal shot but he was able to step up for his team. Winning the game 1-0 Rose Hill moved on to play Trinity in the championship game on Saturday. The game was rough and both teams fought hard, unfortunately with only a few minutes left in the first half a goal was made by Trinity. Rose Hill could not come back in the second half and lost 1-0. Coach Jerry Treat had this to say, "To be at the state tournament three times in a row and come away with two seconds and a third, i feel for them. It's hard on me, but its harder on the seniors." Seniors leaving the team are Zach Jones, Jake Rehm, Travis Mitchell, Aaron Eilert, Juan DeLuna, Kyle Pritchard, and team Captain Jace Dinkel. They will all be missed. Congratulations to the Soccer team for their State Runner-up finish. The Rocket Volleyball team competed at Cheney for 4A Sub-state. Rose Hill was seaded second in the tournament under Cheney who was seaded first. Wellington was step one for the Rockets. Rose Hill began with a slow start but once they found their rythum they took control and won the first and second set; 25-11 and 25-13. Step two for the Rockets was Clearwater. Earlier in the year Clearwater defeated Rose Hill. The Rockets went out for revenge and after an intense battle they won the set 25-21. In the second set Clearwater strung many points together and won 18-25. The winner of the third set would decide who played Cheney in the championship. The set was intense and both teams battled hard. With a big push at the end the Rockets won the set 25-20. The champsionship game was step three for Rose Hill. After a 20 min warm up the match began. Point after point each team gave everything they had but Cheney won the set 25-20. In the second set of the match Rose Hill poured their heart out and left it all on the court but it was not enough to defeat Cheney. Final score of the set was 25-15. Many Rocket volleyball girl's hearts were broken as their season was ended. The five seniors: Kelsey Webber, Tessa Ellison, Bailey Burnett, Abby Jones, and Rashel Chickadonz will be greatly missed. Good luck to them as they continue their life's journey. Tears were shed after the Rockets lost in the first round of the bi-district playoffs to Holton. Rose Hill battled hard and left everything they had on the field, unfortunately it was not enough to stop the Holton Wildcats. In the first minutes of the game Holton was the first to score a touchdown. That didn't scare the Rockets who scored soon after on a 10 yard fumble return by junior Kyle Anderson. 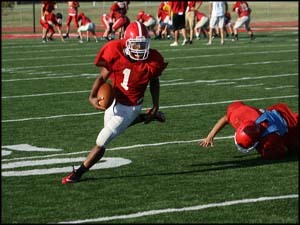 In the second quarter senior LaQua Mayes scored off a 33 yard pass from quarterback Derrick Decker. Tyler Knight also added points to the Rocket's score on a 43 yard field goal. Senior captain Jared Vaughan was able to score the final touchdown for the Rockets in the third quarter on a 1 yard run. Knight put 3 more points on the board in the fourth quarter with a 21 yard field goal. The Rockets had a great season with a record of 7-3. Seniors LaQua Mayes, Brandon Streeter, Cody Peabody, Jared Vaughan, Brandon Barnhart, Zach Cleveland, Brady Foltz, Tyler Mankins, Brandon Walther, and Cameron Simpson all brought a unique talent to the team and will be greatly missed next year. The Rocket Cross Country team competed in the State Cross Country Meet at Wamego. After a very successful regional, confidence was riding high and there was experience leading into this meet already by running at the Wamego Invitational in early September. It is a great meet to get accustomed to the ups and downs of the course for the state meet. The girls started at 9:30 a.m. with a big crowd on site. Emily Terrell earned 2nd Team All-State honors with a time of 16:21 and a 18th place finish. Next for the Rockets were Seniors Paige Downing with a time of 17:25 and Jenny Nutsch with a time of 17:31. Junior Haley Welch finished next at 18:39 followed close by freshman Kayla Collins with a time of 18:41. Sophomore Katy Nutsch closed out the field of Rockets with a time of 19:02. Overall, the girls finished in 10th place as a team. Not what they were wanting, but the season leading up to State was a great success for not really having much expectations put on them. Joey Kenneson was the lone boy that raced at the state meet with a start time of 10:30 a.m. He stayed with the front part of the pack and placed 25th out of a field of 103 runners. He turned in a time of 17:41, not what he was wanting as well and not a personal best, but Joey still had a very successful season and still has another year. With the leadership of Joey and only losing one senior, the boys team will be looking for success as a team for next year. As the season ends, so does the running careers of two great seniors that will be missed tremendously, Paige and Jenny. They were the heart and soul of our team that provided great leadership. With much success that will hopefully pass with future teams, they would be glad to know that they were influential in starting our tradition here at Rose Hill as a legitimate cross country team. Thank you so much Paige and Jenny and good luck on your futures! After barely losing 4-2 on penalty kicks in the semifinals last year to Lenexa-St. James, the Rocket soccer team is returning this year with more motivation then ever. Many talented seniors will be missed this year, however that will not keep the Rose Hill soccer team from achieving their goals. Leading the way is head captain Jace Dinkel who is a returning first team midfielder, all region midfielder, and all state first team midfielder. Right behind him are other determined captains including returning first team defender, all region defender, and all state second team defender Dom Swindler, Senior Travis Mitchell, and Senior Juan De Luna. Winning league with a record of 31-10 and making it to state in Salina last season, the 2010 Rose HIll volleyball team has high expectations to meet. This should not be a problem for the returning Rockets. The Rockets have 5 seniors: Abby Jones, Bailey Burnett, Kelsey Webber, Rashel Chickadonz, and Tessa Ellison. Two returning Juniors: Katelynn Slade, Jessica McDougald and a new junior this year Lauren Arndt. Combined the team has more experience than ever and is eager to compete. Coach Rempel states, "Chemistry between the girls is unbelievable and should make for another great season." By moving up from division 4 to division 3 the competition for Rose HIll football has became much more challenging for the 2010 season. But by putting in a lot of time and hard work this summer the Rockets are ready to take on anybody. Senior captains Brandon Streeter, Brady Foltz, Jared Vaughan and LaQua Mayes are motivating the team with not only their talent but also their inspiring attitudes. With higher competition the Rockets are underdogs but with big hearts and hard work they will succeed. After running an average of 5 miles a day this summer the 2010 Cross Country team is more than ready to start their season. The girls are looking good with returning second team all league players Paige Downing and Jenny Nutsch who have to step up this year to fill the shoes of last years State contender Taylor Carlson. The boys are also improving this year with many new teammates including seniors Taylor Richards and Brain Hagen. 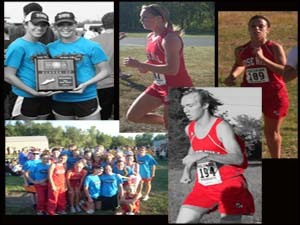 By uniting both new and old competitors, the Rose Hill Cross Country team is going into the new year with confidence!